Last month Unite won their appeal against an injunction obtained by British Airways in the High Court preventing their members from striking. The judgment has some potentially important implications for human rights, and in particular the right to free assembly. The strike has already been the most damaging in British Airways’ history and they airline are now preparing for another round of strikes with Unite threatening to ballot its members for a third time. Whilst trade union rules may seem a little dry as compared to the drama and intrigue which tends to characterise large-scale strikes, in fact the requirements of trade union law have been the focus of a run of important court decisions relating to British Airways. Unite have argued, with recent success, that an overly strict enforcement of procedures is an unnecessary and disproportionate restriction on workers’ right to strike. British Airways have said that the rules are there to protect companies and their customers from unnecessary industrial action. The result is that these seemingly dry technical requirements are now taking centre-stage in industrial disputes. But are the courts letting down employers in failing to apply them properly? Until the British Airways case reached the Court of Appeal (the second highest appeal court), the airline had experienced a run of successes in obtaining injunctions against strikes because unions had breached the strict requirements of section 231 of the Trade Union and Labour Relations (Consolidation) Act 1992, the requirement to inform members of the outcome of strike ballots. In May the High Court granted an injunction for the second time in 6 months against a strike planned by British Airways cabin crew. The injunction was granted on the basis of a technical breach of trade union rules. 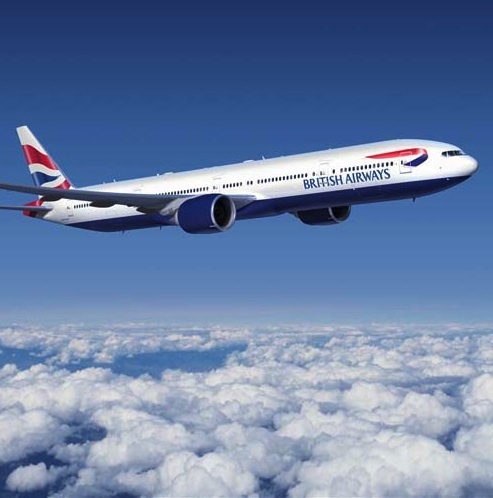 They had not properly informed their members of the outcome of the strike, even though the strike ballot itself was carried out properly and action was overwhelmingly approved by BA cabin workers. The Judge ruled that Unite did not tell its members about the number of spoilt ballot papers in the last dispute, and that as such it was arguably in breach of the which states that as soon as is reasonably practical, a trade union must inform all those entitled to vote in a ballot of, amongst other things, the number of spoiled voting papers. Unite appealed to the Court of Appeal. It took an unusually long time for the full Court of Appeal judgment to be released (around a month), which may have been an attempt to avoid influencing ongoing negotiations between the airline and union. However, these are still deadlocked and a number of walk-outs have already taken place, affecting thousands of summer holidays. As is common with Convention rights, the right can be restricted if that restriction is proportionate, with the test of proportionality being that it is “necessary in a democratic society, in the interests of national security or public safety, for the prevention of disorder or crime, for the protection of health or morals or for the protection of the rights and freedoms of others”. The context of applying for an interim injunction is important: an applicant need only show that they have a “good arguable claim“; the hearing is not intended to represent a full hearing of the merits of the case (see American Cyanamid Co. v. Ethicon Limited  AC 396). The Court of Appeal ultimately decided to reverse the decision of the High Court, and to allow Unite’s appeal. The three judges who ruled on the case were the two highest judges in the court – the Lord Chief Justice and the Master of the Rolls – as well as Lady Justice Smith. The judgment was not unanimous, however, with the Master of the Rolls, Lord Neuberger, dissenting. In my judgment, if this case went to trial the high probability is that BA would establish that the section 231 process could have been better, but there is a high probability that the Union would establish that the process was sufficient. I should therefore allow the appeal. Lord Neuberger disagreed with the other two judges. He said that the rules are eminently clear, and should be complied with. In my judgment, these provisions are clear, and the court should proceed on the basis that they mean what they say. Unless the court is satisfied that, as soon as reasonably practicable, the trade union has taken steps which are reasonably necessary to ensure that the four pieces of information identified in section 231 (a) to (d) (“the section 231 information”) are given to all persons entitled to vote then the ballot would not comply with section 231. It is, in my view, impermissible for the court to dispense with the requirement that the requisite steps are taken to provide one or more of four items of information when the legislature has said in terms that requisite steps must be taken to ensure each such item has to be provided. He accepted that the rules could be seen as “surprising in their strictness” but nevertheless it was not for the court to decide whether or not they were unnecessarily strict; rather, it was the court’s job to apply the rules and Parliament’s to set them. The human right to free assembly can only restricted in limited circumstances, one of which is when an assembly impinges on the “the rights and freedoms of others”. This delicate balancing act – the rights of workers to use their collective bargaining power, versus the rights of businesses to not be held to ransom – has informed the British Airways v Unite dispute at every stage. Ultimately, the two-judge majority looked to a “reasonable” interpretation of the statutory provisions. Some will argue (as Lord Neuberger did) that this falls outside of their powers; simply, if Parliament set the rules to be strict, then it is not for the courts to say otherwise, whether they consider it reasonable or not. The Lord Chief Justice asked, legitimately, whether it can truly be said to be the will of Parliament that rules instituted to protect union members can be wielded against them by legalistic employers. However, BA and other employers will no doubt respond that the rules are there to protect the rights of employers, and the general public, too. It is all very well for the CBI to argue for ever stricter rules in light of the increasing economic pressure on employers, but if the courts are unwilling to apply them, there may be more strikes to come regardless. The Supreme Court may ultimately have to decide on where the correct balance of rights must lie.